The Holiday beach Budapest Conference & Wellness Hotel****’s restaurant welcomes marrying couples in Budapest, at Római-part, right on the banks of the Danube, still away from the noise of the city. 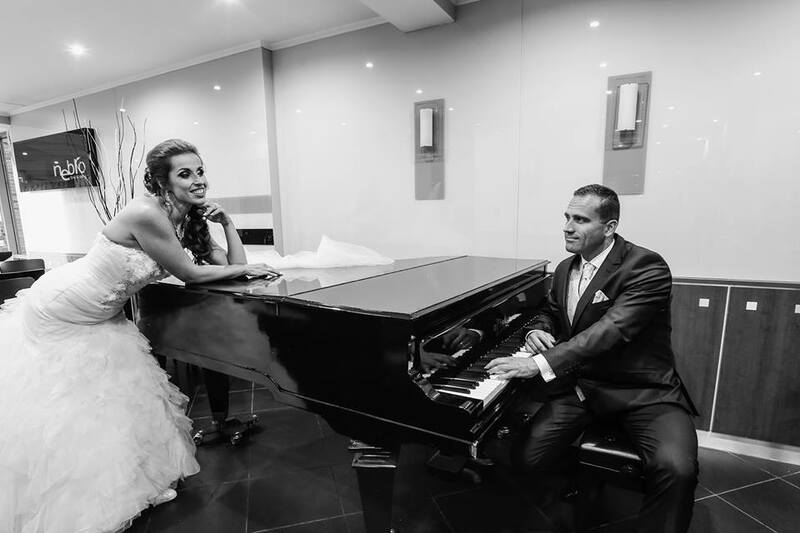 We have been serving the needs of young couples for over seven years focusing on creating magic memories on their Big Day. For the wedding venue you may choose the Mediterranean-style grill terrace on the riverbank of the Danube, or the elegant Nebro restaurant with a beautiful panoramic view - your wedding guests are likely to hold their breath in amazement. You may take the wedding guests on a sightseeing cruise, with departure from the private marine port of our hotel. Civil wedding ceremonies may also be held in the park or at any banquet halls. 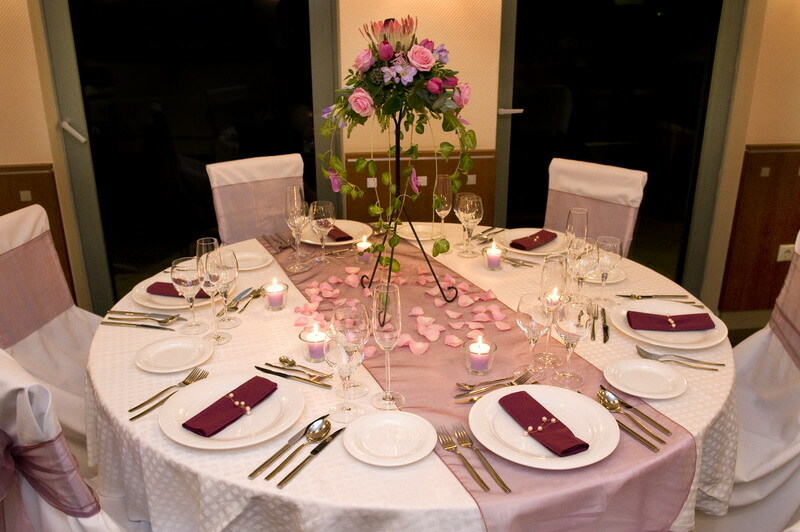 Entrust our experienced staff with organizing the dinner; high-quality service is guaranteed. The decorating team is familiar with the venue, and will fully meet your special expectations, even the most extreme ones. There is no need to worry about the guests having fun until dawn, as they can retreat to our 68 rooms when weary, and relax with peace of mind after the Big Day. Your car can be safely parked at the closed parking lot of the hotel. The young couple is offered the honeymoon suite for the wedding night, and on the next day they can use our Fitness & Wellness area, where they will find massage, a beauty salon, sauna, hot tub and an outdoor swimming pool. 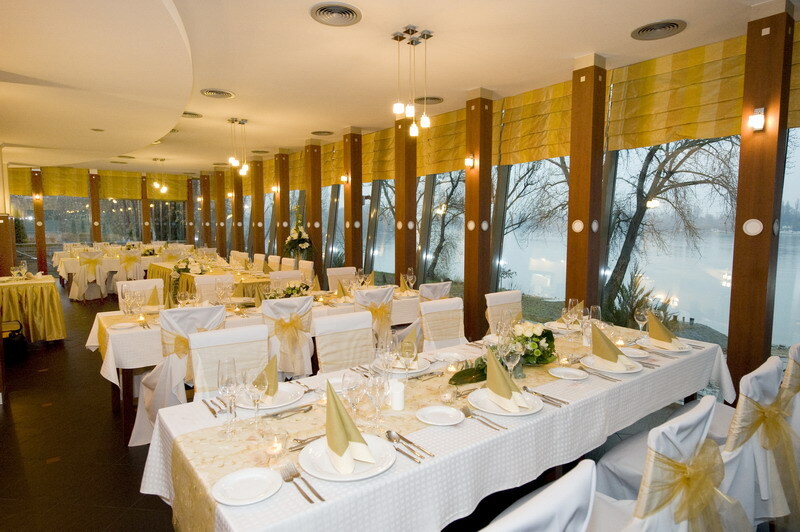 Grill terrace - Mediterranean-style venue with terrace, right on the riverbanks of the Danube, next to ‘Római-part’. 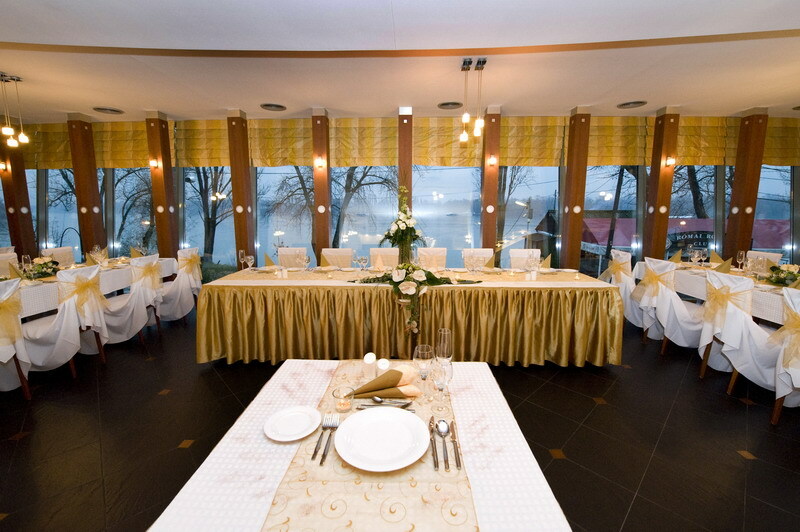 Nebro restaurant – A restaurant decorated with elegant and unique design elements, and offering panoramic view to the Danube; located on the first floor of the Atlantic wing of the hotel. Grill restaurant - Bistro restaurant with a warm atmosphere, with direct access to the garden on the ground floor of the Pacific wing of the hotel. 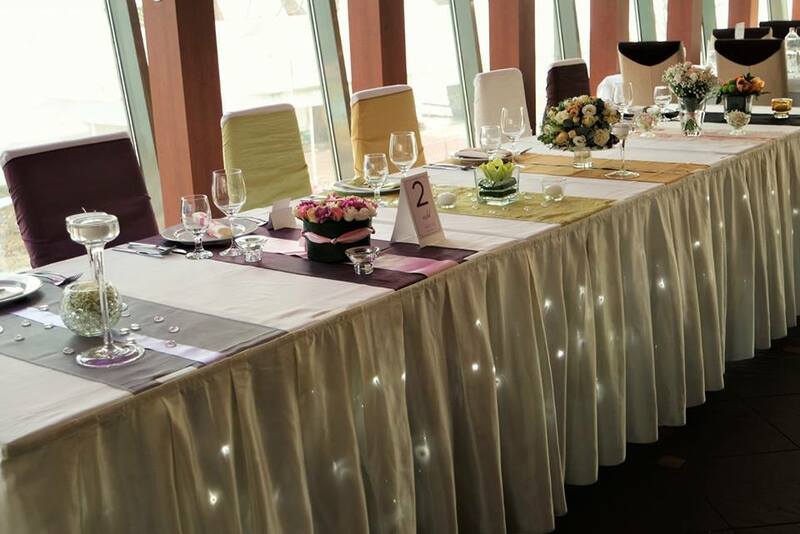 Arcadia event hall - A family-style dining hall for a lower number of persons, overlooking the garden. In unfavourable weather conditions alternative solutions are available for the civil ceremony and the wedding venue as well.